Onto this delicious pan of egg goodness!! This Spinach, Tomato & Cheese Egg Bake was one of the very last dishes I made in our old house for one of our very last breakfasts there. It was delicious and honestly I think it had mostly to do with the cheesy goodness and the spinach and tomatoes add gorgeous color and good for you veggies! I love egg bakes when cooking for a crowd, they take no time at all to throw together and then let the oven do the work. You can throw in any veggie & cheese combo you love. 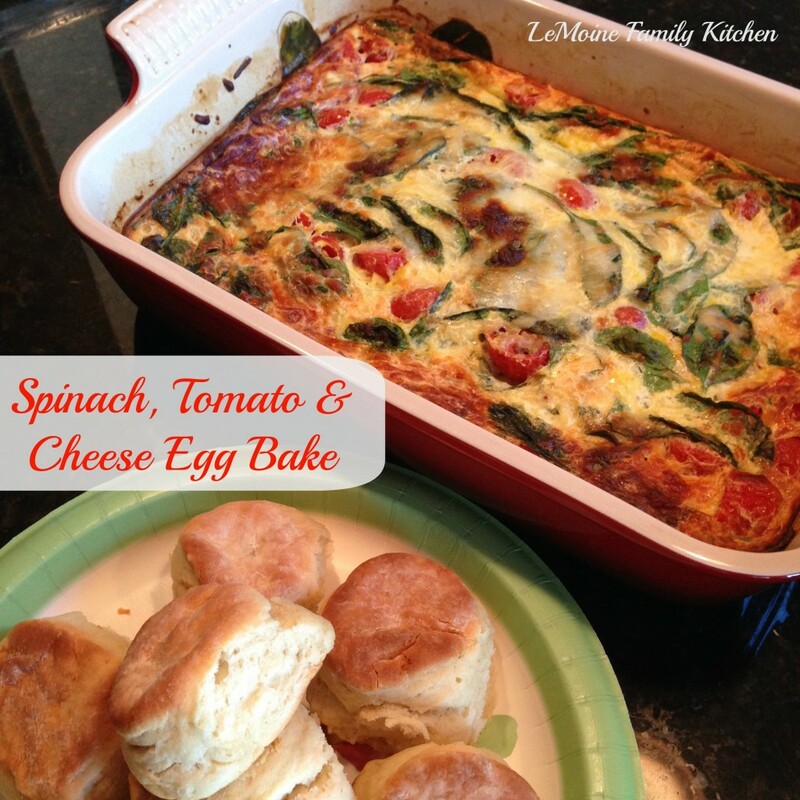 In a bowl whisk the eggs and stir in 1 cup of the shredded cheese, the baby spinach, half & half and tomatoes. Spray a 9×13 baking dish with non stick spray. Pour in the egg mixture and top with the remaining 1 cup of cheese. Bake for approx. 30-40 minutes. Until the eggs are cooked through and the top is golden.